Sturdy disposable side plates with a natural look Use for hot food – heat resistant w/ low heat retention Ecofriendly areca palm leaves biodegrade in 3–6 months Tableware doesn’t get much more natural than this! 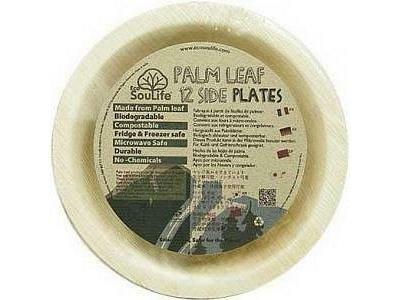 These disposable plates are made of leaves shed by Indian areca palm trees as part of their normal lifecycle. The leaves are then collected, compressed into shape, and UV sterilised. Undyed, the plates retain a beautiful individual character, with no two exactly alike, and with no coatings or chemical additives they easily biodegrade in six months or less. They’re strong enough to last through a meal, and because of areca leaves’ natural combination of heat resistance and low heat retention, they’re especially useful for holding hot foods. This is the lowest price ever spotted on this item at Adairs!